Anticipating the long weekend. First a Good Friday fish'n'chip shop lunch with Dad's side of the family then Boyf and I are joining his brother and friends for a night or two of camping. And that still leaves two whole days at home before I have to go back to work. Bliss! Planning a long list of tasks to do around home. Needing to sort and organise pretty much everything. Most of the boxes have been unpacked but 'that will do for now' seems to have been our motto. 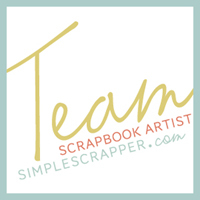 Hoping to have some time and motivation to scrapbook this weekend. I've been thinking about all the unfinished projects I have and don't know where I want to start. Reading How We Decide by Jonah Lehrer. Watching Glitter Girl's latest scrapbooking video. Wanting to buy a new pair of Converse shoes. I wore out the sole on my last pair and they didn't make the move. Cursing the fridge. It attacked me yesterday when a bottle of beer fell off the top shelf and landed on my foot as I was making breakfast. I was not impressed. After a big week and an exhausting weekend, it's official - I now live in Red House. Friday night Boyf and I had Indian takeaway from the great little restaurant around the corner, finished packing everything and toasted to one last night in Yellow House. And Saturday it was official, Moving Day. It was actually reasonably painless, largely due to our friend Sean who helped immensly. (Thank you Sean!!!) Two trailer loads full of furniture, and cars packed to the brim with boxes, and everything was moved across. I think Boyf is most surprised/delighted with this front lounge room. He didn't really use this room, except for hanging out his clothes to dry. Now it has furniture, grown-up furniture, and looks so very different. Even filled with boxes and assorted stuff, it feels like it suddenly has the potential to be a great space. Although there is so much still to be done, I'm surprised at how much we have already accomplished. Chaos is slowly receeding as the pile of empty boxes grows. 4 goals complete, 26 to go. At about 1am on his birthday, just after take off on our last flight towards home, I surprised Boyf with his birthday present - tickets to Cirque du Soleil's Ovo. We went to the show Wednesday night and it was awesome. The girls tumbling, catching and throwing blocks with their legs in perfect timing. The guy who rode a unicycle upside down on a tightrope. The costumes. The set and how they rigged the harnesses, nets and ropes. The aerialists. How they directed your attention during the mechanics of it all. The huge flowers that bloomed. My favourite - the last act with trampolines and a climbing wall. They were jumping onto the wall, running up the wall, dancing in unison on the wall, even the contortionists were up there. Absolutely amazing. After a full day of moving furniture and boxes, both around Red House and from Yellow House to Red House (I'd taken the day off work so we could get some things done) it was the perfect reward to go out and relax with dinner and that incredible show. This is Boyf's house. (In a very not to scale way.) I suppose in less than a week it will be 'our house'. As I become inundated with boxes and my stress levels are rising, I thought I'd create a list of things I'm looking forward to about moving. Not living out of a suitcase. Organising / reorganising my scrapbook room and supplies. Having an automatic watering system in the garden. My plants will have a greater chance at survival. Rearranging the items on his bookcases. Decorating the guest bedroom. I have a picture in my head of how this room will look. Arranging and rearranging the furniture. Yellow House doesn't really have space for furniture to go any other way, while that front lounge is nothing but possibilities. Having someone else to share the responsibility for not running out of milk and using the vegetables lurking in the fridge. Discovering and developing new habits and routines. Drinking pots of tea. A couple months ago I was sitting outside in that undercover area and had the urge to make a pot of tea. I hadn't done that in almost 12 months in Yellow House. I think this house will help me slow down and savor simple moments. Hanging frames and photos and art. Not having to get out of my car to open/close the garage door. Today is actually the first anniversary of Mike + me = us. It has been an awesome year babe, and I can't wait to see what this next one will bring. Love you. After 3 flights and at least 27 hours in the air, we arrived home yesterday morning. A couple loads of washing, a much needed afternoon nap, a dumpling birthday dinner for Boyf, a few boxes packed and then I was back at work today. Thank goodness it's a Friday! This week, in addition to packing up my entire house, we are going to a BBQ (and deep sea fishing for Mike) to celebrate a friend's 30th, moving all the furniture in Boyf's house from the front half to the back for the new carpet, seeing a Cirque du Soleil preformance and I need to come up with a Disney costume for another friend's birthday on moving night. Inspired by a photo on pinterest, it's simply patterned paper, letter stickers, a sentiment cut with my Silhouette Cameo and a little sewing. Hopefully he likes it. I think we came up with something to top dining at The Rock. Yesterday we rode a boat out to a small island in the Zanzibar archipelago. Just us and the 4 boat guys/lunch preparers. First we snorkelled off the boat. I saw a couple schools of fish - so interesting to watch their mob mentality. Love snorkelling. There was a slight hiccup when we headed into the beach - the engine wouldn't start and they had to paddle us in. A picnic on the sand, including cigal lobster, octopus and tuna, all so fresh. Swimming off the sand bank, which gradually disappeared under the rising tide. Beautiful turquoise water, all to ourselves. Hoisting the sail for the trip back to shore. (The engine was fixed, so just because we could.) Wood, rope and old canvas - so majestic. Today we went to The Rock. I actually found this restaurant on Pinterest, while doing some trip research. (How's that for actioning a pin!) It was a half hour taxi ride to get here, and the restaurant is not cheap by Zanzibar standards, but so worth it! A bottle of rosé to share and a waiter with great personality (and service) - he joked 'pole pole' meaning slowly in Swahili every time he topped up our wine glasses a little and returned the rest to ice - guaranteed a good lunch. Fried calamari and prawns to share. Grilled fish for me while Mike had a vanilla and prawn gnocchi. Even the salad was delicious! After lunch we had a swim, read our books and relaxed in the shade. One last drink at a lovely bar, Upendo, shoreside this time, before catching the taxi back 'home'. The Stone Town of Zanzibar is a fine example of the Swahili coastal trading towns of East Africa. It retains its urban fabric and townscape virtually intact and contains many fine buildings that reflect its particular culture, which has brought together and homogenized disparate elements of the cultures of Africa, the Arab region, India, and Europe over more than a millennium. It's pretty incredible, all winding alleys and old buildings, but really I'm not sure what I think of Stone Town. It's such a mix of 'Jambo. Come into my shop' and decay compared with beautiful details and moments. I love this sign, painted on the side of a building. It was lovely to see this city full of life, the alleys bustling with locals going about their business as well as tourists. Mike and I stumbled across a market street with shops selling towels, curtains, baby furniture, all sorts of goods. Startling to remember, here this is the equivalent a shopping centre. Such a different way of life, and this is a city. Teen boys fishing off the fort/harbour wall. The Palace Museum, formerly the Sultan's house. Zanzibar is known for it's ornate doors. Certainly not on all buildings, but sometimes in the most surprising of places. After a morning exploring, Boyf and I returned to our hotel for an afternoon swim. Pausing for a photo break on the stairs, that second flight is steep! Built in 1557 in the Arab style (although there have been more recent expansions), the hotel was pretty amazing. That's Boyf outside our room. We headed back out in time for sunset, drinks on the beach and great Indian food for dinner.